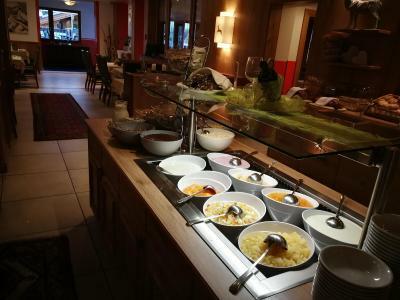 Lock in a great price for Hotel Alphof – rated 8.5 by recent guests! Croissants were the best. Coffee 10/10. 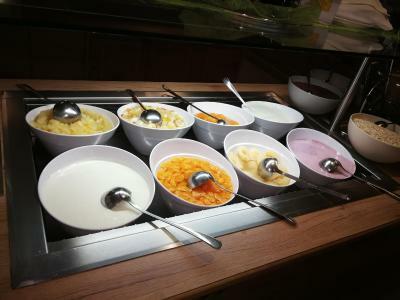 Very good breakfast with extensive choices of everything. 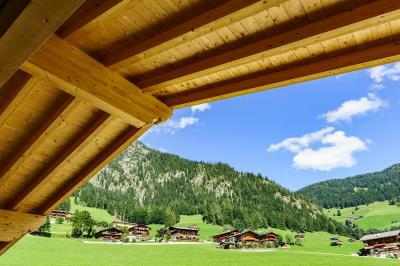 View, location, facility, ambience, peace and tranquility. 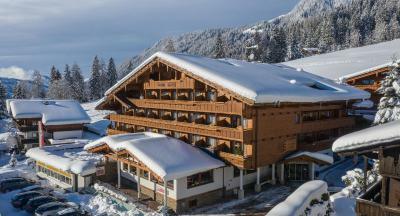 This is a great hotel with a half pension option also. Our section of the hotel had only been open a month so facilities were in mint condition. 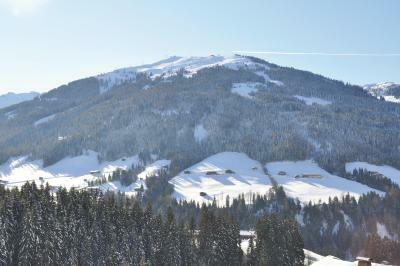 Spectacular views of surrounding countryside (and in winter ski fields). Excellent WiFi, helpful staff and good food. A gem. The location was ideal for this time of year. 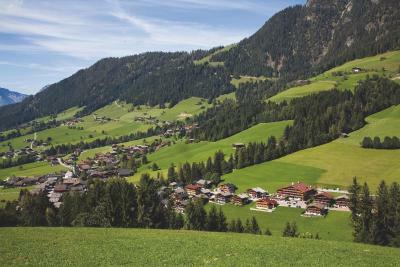 High up in the village we had good access to the Alpine meadows immediately the hotel. Great location in a beautiful village. Excellent breakfast. Super log fire. Hotel staff were excellent, highly recommend the half board option and the rooms very neat and generous in size. Very comfortable and good value. Very friendly staff. Traditional hotel which was super clean with excellent facilities. 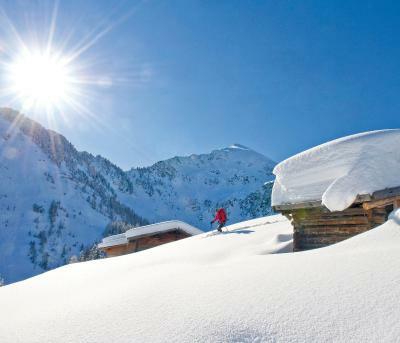 Ideally situated for access to the mountains. We had an amazing holiday here with our 2 teenage boys. Bed was comfy. Room was a good size. Shower was very good. 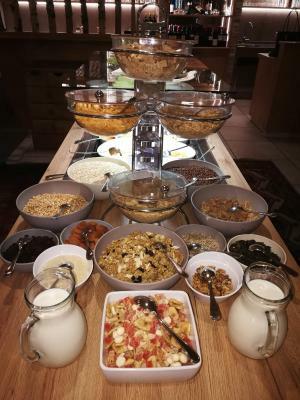 Breakfast was ok.
Everything... Staff where friendly and accommodating. Room was very comfortable with great views. We had half board included and surprising we didn't dine out once.. We dine in the restaruant every night and loved the variety. The young girl and guy waiter that looked after us couldn't be more friendly and helpful. The receptionist even lent us her kettle so we could have tea. 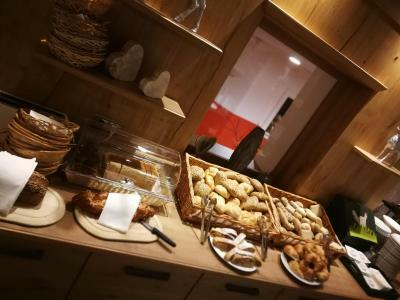 Hotel Alphof This rating is a reflection of how the property compares to the industry standard when it comes to price, facilities and services available. It's based on a self-evaluation by the property. Use this rating to help choose your stay! 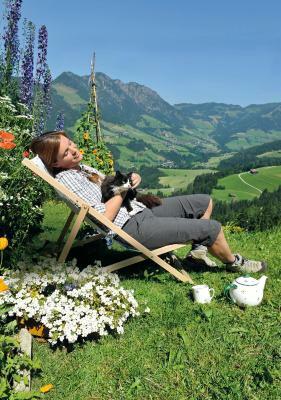 One of our best sellers in Alpbach! 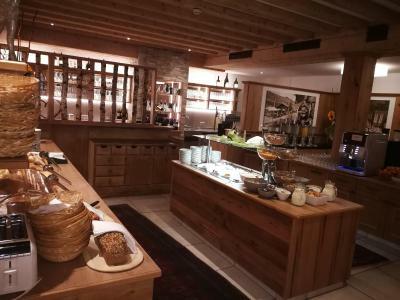 Located in the picturesque village of Alpbach, Hotel Alphof features a large spa area with an indoor pool. Each room has a furnished balcony, a seating area, and bathrobes. The Congress Center and a ski elevator are a 2-minute walk away. 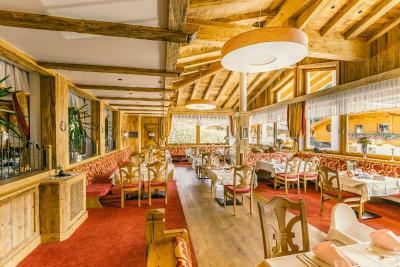 The Alphof has a restaurant with traditionally furnished dining rooms, a pizzeria, and a bar with an open fireplace. Half board includes an après-ski snack in winter and an afternoon snack in summer. 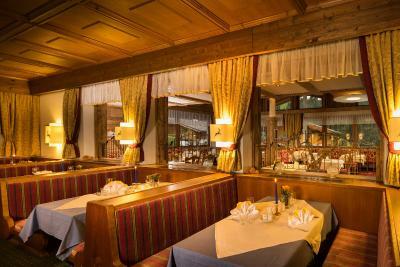 A 4-course menu with a choice of dishes is served for dinner. 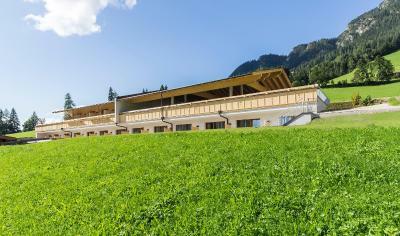 Facilities at Hotel Alphof include a children’s playroom and large sun terraces with panoramic views. 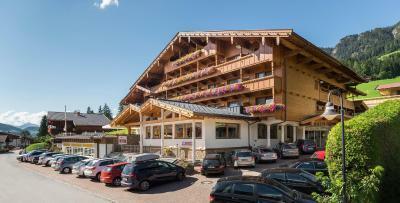 Hotel Alphof’s large car park can be used free of charge. A parking garage is available at a surcharge. A ski bus stop is in front of the Alphof. There is a ski storage room with a ski boot heater. 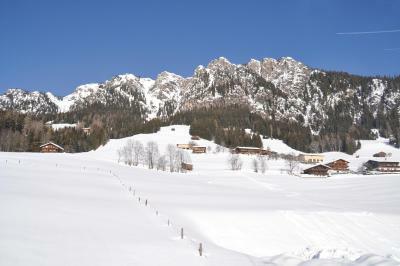 Activities such as guided hiking tours are organized throughout the year. The Wiedersbergerhorn Cable Car is 1.2 mi away. The Reithersee lake is reachable by car in 10 minutes and there are 2 lakes in Kramsach, a 15-minute drive away. When would you like to stay at Hotel Alphof? Room with attached bathroom with a TV and a balcony with mountain views. Room with a balcony overlooking the mountains, a bedroom, and a bathroom. Please note that the room rate is based on 2 adults + 2 children up to 14 years of age. 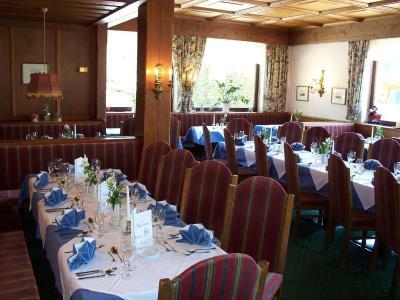 Newly built in 2015, these rooms are located in the Haus Bergidyll Annex, which is directly connected to the Hotel Alphof. 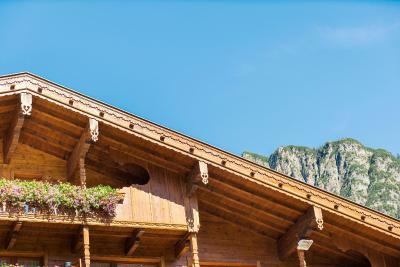 Decorated in a modern Alpine-style and partly wood paneling, this deluxe room features a large balcony with panoramic views, a seating area and a desk, and a modern bathroom with a walk-in shower. 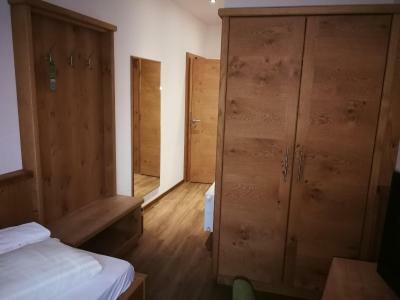 This double room features a balcony and bathrobe. House Rules Hotel Alphof takes special requests – add in the next step! Debit card Hotel Alphof accepts these cards and reserves the right to temporarily hold an amount prior to arrival. Hotel Alphof accepts these cards and reserves the right to temporarily hold an amount prior to arrival. The location high up in the village would be less of an advantage in midwinter, if there was ice and snow on the streets. But the ski bus does come up to the hotel twice in the morning and twice in the afternoon, which saves a ten minute walk. The food was not as expected / advertised. I also failed to understand the separation of guests who had staff in traditional attire and those at the back who did not. Not an equitable hotel experience. 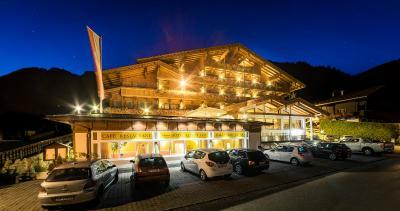 This is a really great hotel in the beautiful village of Alpbach and we can highly recommend staying here to anyone. 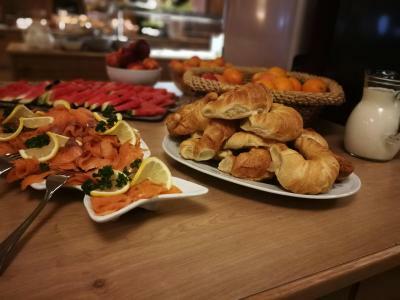 Children are not only welcomed into the hotel but extremely well provided for with everything from welcome drinks to a fantastic children's dinner buffet and great breakfast options. We stayed in the newer wing of the hotel so we can't attest to the older rooms but ours was beautiful with impeccable facitilies and a good amount of space for us and our daughter. 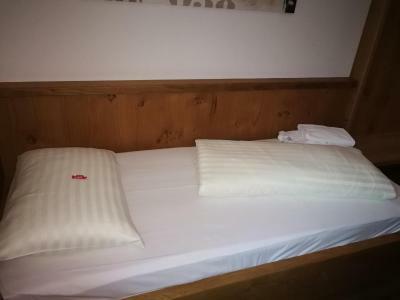 We had a family room and the couch pulled out into another double bed and the main bed was the Austrian double which is two single beds joined together. 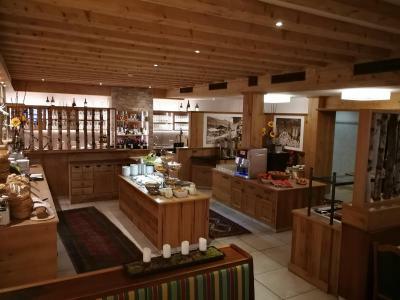 The hotel provides a lovely handwash/body wash/ shampoo as well as having a hair drier, digital safe and ample cupboard space as well as a hanging rack for coats and jackets at the entrance. 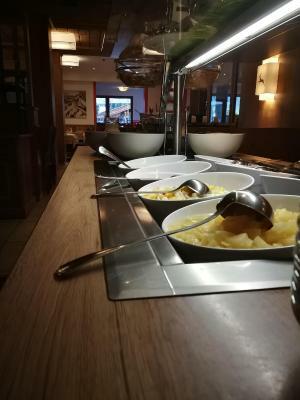 The restaurant is both cozy and casual yet elegant with a great family atmosphere and there was an amazing Gala dinner on Tuesday night with a delicious seven course meal (children's buffet still available) and live Tirolean music which was enjoyed by young and old alike. 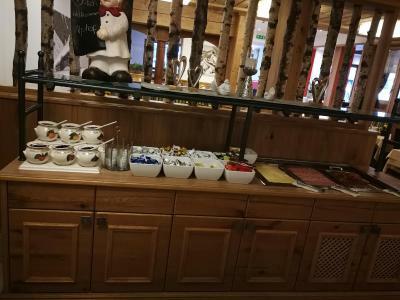 The hotel can also give you information on the skischools available in nearby InnerAlpbach, other available activities (I can highly, highly recommend the horse drawn carriage ride through the village and surrounds) and since Alpbach is a small village everywhere is within walking distance. 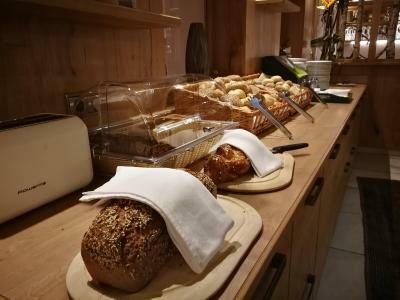 The staff are all attentive and helpful and the owner also makes a point of speaking with each group of guests during their stay giving a very friendly and family focused impression - a home away from home for frequent guests and first time visitors alike. There were no toiletries. No extra pillows. 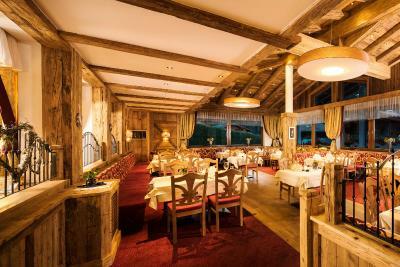 The dinner was alright, not all staff spoke German (which I would expect in Austria). 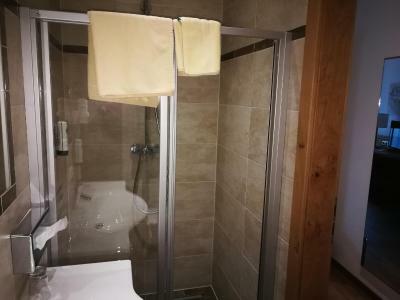 nice room, great upgraded sauna area. It's written there is Wi-Fi, but didn't work at all. Disaster Wi-Fi. Simple, even poor breakfast. Spa could do with a 'face lift'. Looking a bit tired and out dated. Beds a bit hard. Catered for us as vegetarians but no vegan option. Towels small. No bathrobe in room for the spa. Got one on request. 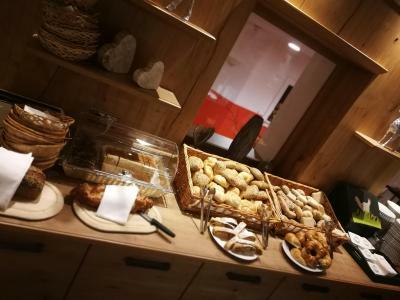 Staff disinterested at reception but very nice at breakfast. No help with heavy suitcase on leaving. The lack of bath and we were kindly upgraded but our room ended up being smaller than previously booked room. Road to upper car park was never cleared. Breakfast, v friendly staff. Close location of car parking to room. Views from room. 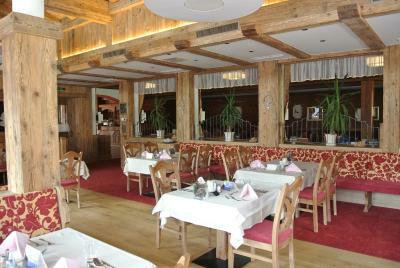 The staff are all very friendly and helpful despite that we have many different requests. We stay in the new wing of the hotel and the family room is great. The view of mountains from the room and the shared balcony/terrace is very nice. Food is very ok to us too.